How come this e-commerce site does not have all the products you sell in your retail store? Due to significant restrictions imposed by the United States government, selling CBD online presents numerous challenges. Because of this, we cannot offer the wide selection of products available in our brick & mortar retail store. We hope that over time, we are able to offer more and more variety in our online store. If you live in the Philadelphia, Pennsylvania area, please visit our retail store in Willow Grove (www.HempHeadquarters.us). We take a lot of pride in our wide selection of CBD and hemp products and hope you can visit our retail store for the full Hemp Headquarters experience. Why don't you sell gummies? As a matter of store policy, we are concerned with being a good actor in the community. As such, we do not stock any products we think would be attractive to young children. Children's candies such as gummies or lolipops are products we avoid selling. Instead, we sell tinctures and soft gel capsules which are high quality products geared toward adults. I don't understand something. Can I contact you with questions? Absolutely. We are here to help. You can also contact us through our Facebook or Instagram pages. How will purchases from this store show up on my credit card statement? Billing will appear as our corporate name: HHQ Brands LLC. We are an authorized CBD re-seller so all transactions are legal and transparent. We accept all major credit cards. Legitimate CBD manufacturers have their products laboratory tested in order to present an accurate representation of included cannabinoids and to ensure purity of the extract. 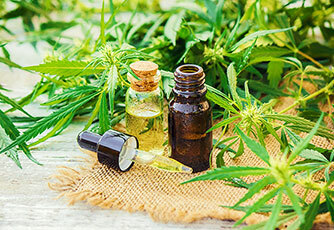 A retailer will usually rely on the vendors to provide third-party test results for the CBD products. For example, at Hemp Headquarters, we require scientific test results for all in-stock products and keep on file the documentation provided by the manufacturer. Though we can guarantee that no CBD products will “get you high,” we cannot make any claims beyond the provided test results. Additionally, cannabinoid levels (of CBD, CBG, CBN, THC, etc.) provided by the manufacturer are to be used as a general guide. CBD products are created through an extraction method that may result in uneven ingredient concentrations between individual products. We value your privacy and all orders placed through this website are private and confidential. We will not disclose, reveal, sell or display any customer information to any third party (unless compelled to by a legal court order). All shipped orders will display our corporate name, HHQ Brands LLC, as the return address.